Hi so wondering what my first car is worth? It's sad but it's time for it to move on. It has some features that i haven't seen on many 323's of this type. It also has a Mazda vinyl with a "Burg Design" logo along the side. 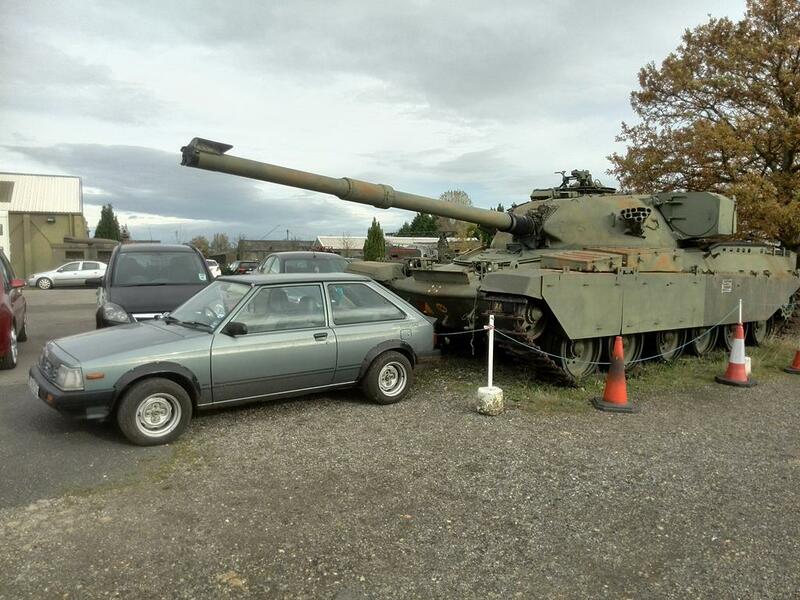 i've not seen another Mazda with it on, but it's a 323 BD so i'm guessing that's what that stands for but if anyone knows anything about it that'd be cool but was probably just an option. No photos of the interior yet but the roof is lines in a poker dotted fabric & still has the old radio. it also has a little rubber spoiler/lip on the boot. Wide arches have been installed and the original steel wheels that came with it have been banded with some decent Nankang tyres on it. 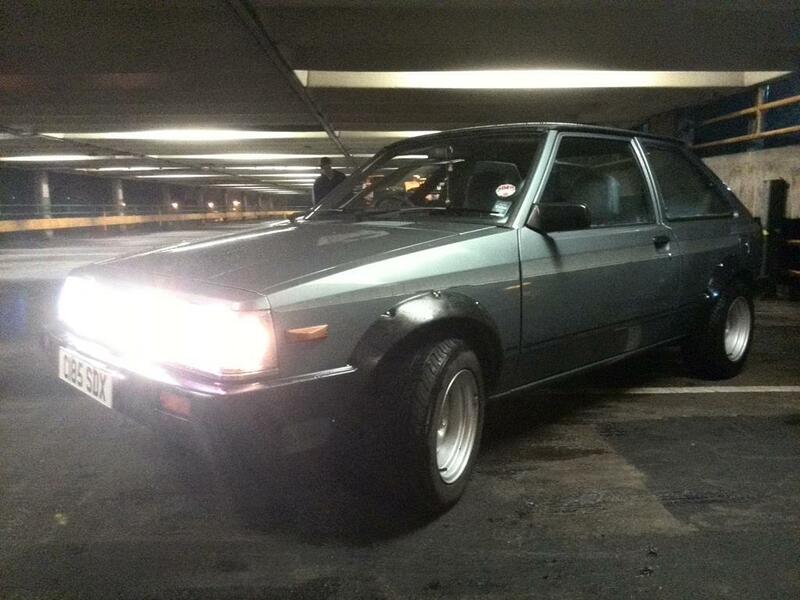 Currently it has no MOT so would appreciate estimates with and without MOT, but it runs sweet and drives well. Not a lot about to go on and this car hasn't made any of the main classics guides yet, I'm assuming interior is on a par with the exterior? A total punt but I'm guessing around £250 as is, perhaps £400 with MOT? 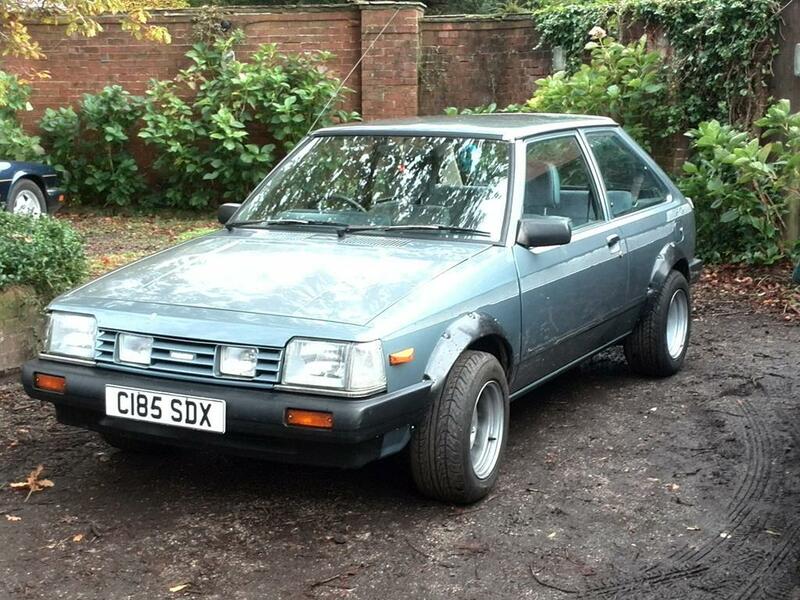 Price-wise, the car's MOT history is heavily against it as it suggests long term neglect and ongoing corrosion issues but someone has been prepared to regularly fork out large sums to get it through MOT's and so it's still around at 32 years of age. These were great little cars in their time, tin-worm has killed most of them off so one day it'll be rare and worth stronger money. 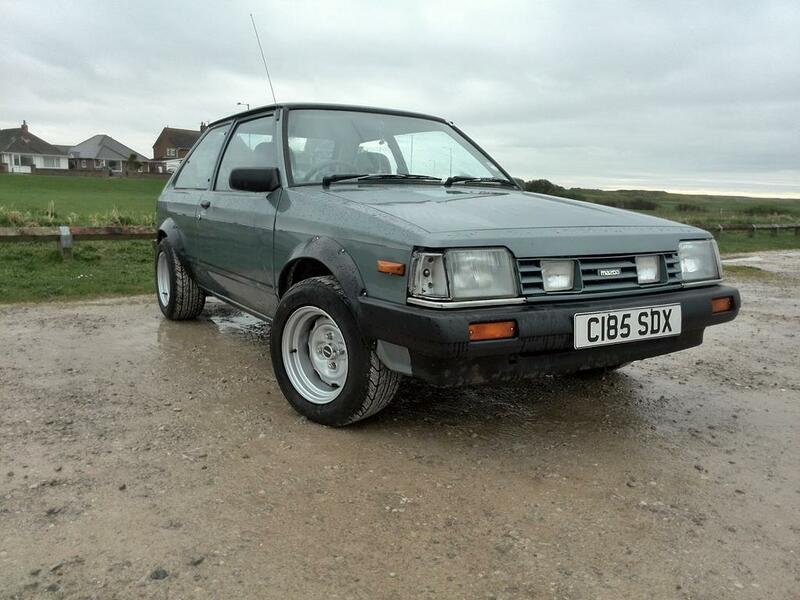 BD is just the Mazda model reference for the 4th generation 323 / Familia, I'm guessing the Berg Design is a decal set a previous owner has applied in an attempt to add kudos?